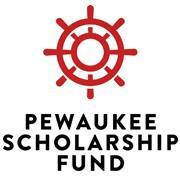 Mission Statement: The Pewaukee Scholarship Fund is dedicated to generating, managing, and awarding scholarship funds to deserving graduating seniors of Pewaukee High School. Goals: Generate enough money to fund meaningful awards to as many graduates as possible. Manage existing portfolio in a manner that maximizes earnings without putting principal at risk. Distribute funds to deserving graduates via a collective evaluation by the Board of Directors of submitted applications.